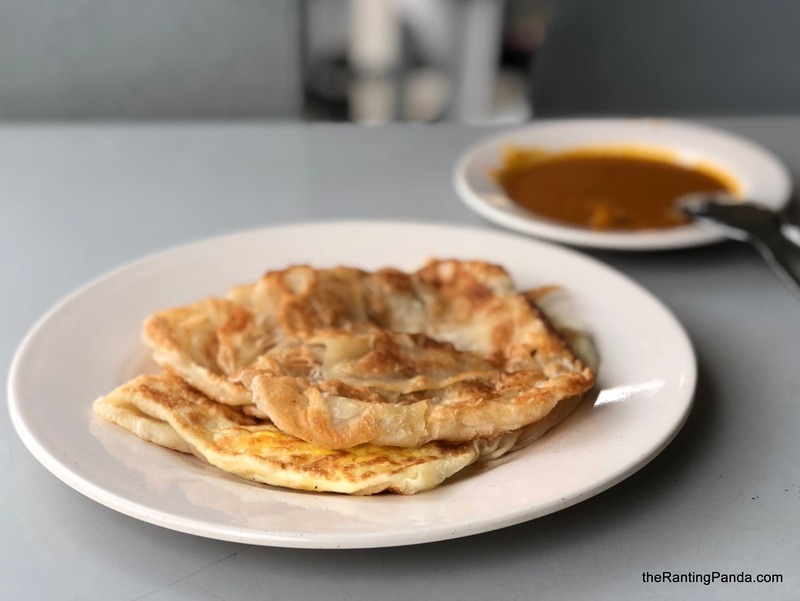 Home » Food » Food Review: Mr & Mrs Mohgan Super Crispy Roti Prata beside Dunman Food Centre | Is the Prata still as crispy as before? The Place Most of you should be familiar with Mr and Mrs Mohgan’s Super Crispy Roti Prata, which has recently reopened at a new location. Yes, the popular prata name moved out of its previous Crane Road location to a coffeeshop right beside Dunman Food Centre. In terms of space, the stall is now housed in a much larger coffeeshop, which makes it easier to get a table as compared to its old location. I also like that the ordering process is more systematic now, whereby you will be given a number once you order. Simply check back to the digital clock for your number instead of walking to check periodically like the past. The Food Nothing much has changed in terms of menu, where they are still serving different prata flavours like Plain (S$1), Egg (S$1.50) and Mushroom (S$2). I have always been a fan of its Plain or Kosong prata since their old days, and swear by its crispness. I visited on a weekend morning, and waited for about 20 minutes for my prata, two plain and one egg to be exact. My first thought when I saw the plate was that the texture looks really flat, which looks different from my impression of it since my last visit at its old location (quite visible from the comparison of pictures). I took a bite of the plain prata, and it was plain soft. Where did the crispness go? I did another test by trying the other plain prata, it was equally soft. This is not the prata which I remember it to be. There is not much flavour, and the texture is just bad. I didn’t finish my order, as compared to finishing at least three plain pratas in the past. The egg prata is equally disappointing. I have never been a big fan of it but decided to order on my visit just to do a comparison. Rants Things change, and taste change. The standard of the prata is not like before anymore, at least on the day I visited. Will I Return Again? Overall, I was disappointed. This used to be my favourite prata stall and I am hoping that my visit was a one off experience. There are people who still praise that the prata is crispy, but it also raise the question of consistency for me as I didn’t get this experience in the past. Have you been to the new Mr and Mrs Mohgan’s Super Crispy Roti Prata? Let me know your thoughts!